The first official day of Pemberton Music Festival’s stacked three-day weekend went off with just a few hitches, but the chaotic atmosphere (much like the temperamental weather) did little to dampen the spirits of attendees. Despite the ups and downs of the weekend, you were hard-pressed to find a face that wasn’t smiling. Once we made it to our campsite (a completely unmarked, unmanned field inviting campers to pitch their tent literally wherever possible) and cracked our reward beers, our frustration ebbed quickly. The surreal landscape, complete with the staggering image of Mt. Currie looming over us, painted a new picture of the term “paradise.” The immensity of the surrounding mountains (combined with the lack of cell service for international attendees like myself) made it easy to forget that there was another world out there that wasn’t decorated with colossal daises and enveloped by the distant yet ever-present thump thump thump of Bass Camp. The atmosphere and excitement of fellow attendees made it impossible not to bask in the festival setting, but without the cardboard cutout signs (the best reading, “I don’t pop molly I rock Rob Ford”) and the occasional banana walking around, you might have forgotten you were at such an enormous music festival. Estimates say an average of 17,000 people attended each day but it felt more like 5,000 from the inside. On Saturday, I walked from the front row of Snoop’s show (mid-set) to the front row of the Flaming Lips’ crowd (also mid-set). The crowds were deep but loose, allowing the ability to watch any show from literally anywhere. The lines were short and often nonexistent. It was every festival fanatic’s fantasy. 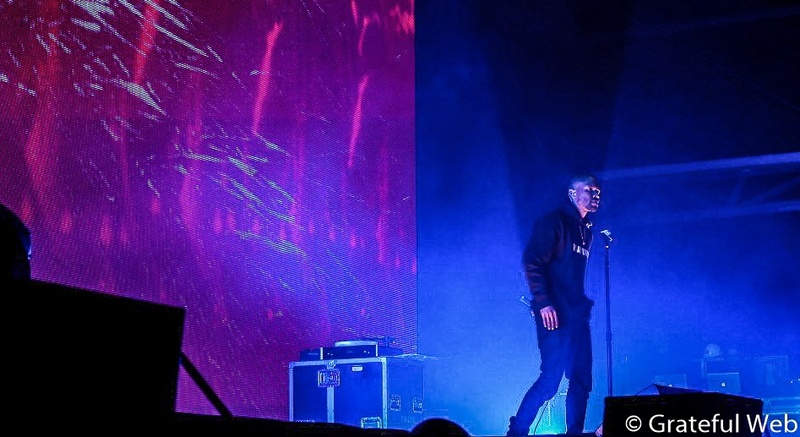 Boasting performances from Frank Ocean to Dinosaur Jr. to Nine Inch Nails to Deadmau5, Pemberton’s roster included everyone that you’ve ever dreamed of seeing to everyone that you never need to see again. 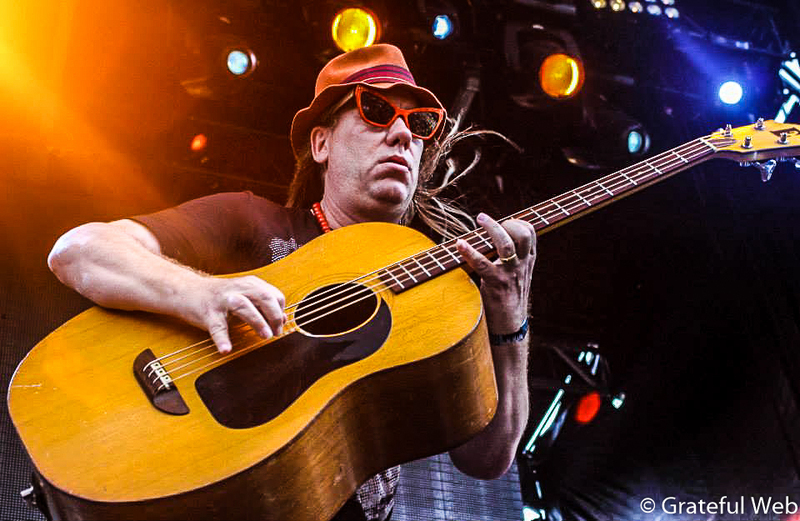 From young’uns like Foxygen and Chance the Rapper to veterans like the Violent Femmes and Blondie, Pemberton successfully led a weekend-long tour of the decades. Years weren’t the only thing that crisscrossed at the festival: Schoolboy Q joined Kendrick Lamar onstage for a live version of “Collard Greens”, while Snoop Dogg was introduced by none other than Bob Saget. The Trailer Park Boys also popped over from the comedy stage to introduce a few acts. With longer-than-average sets and close proximity among stages, it was easy to map out your day despite the schedule conflicts—that is, until the comedy came into play. Not only did Pemberton nail the comedic lineup (with sets from Norm MacDonald, Lisa Lampanelli, Bob Saget, Tom Green, and beyond—not to mention Jay Chandrasekhar as a seriously impressive day-before addition) but they nailed the comedy setup. Finally a festival that gets it. Festival comedy should be presented as festival music is presented: an open stage without tickets or restrictions or lines. Audience members should be allowed to taste-test their comics just like their music. (They did pay for the whole package, didn’t they?) 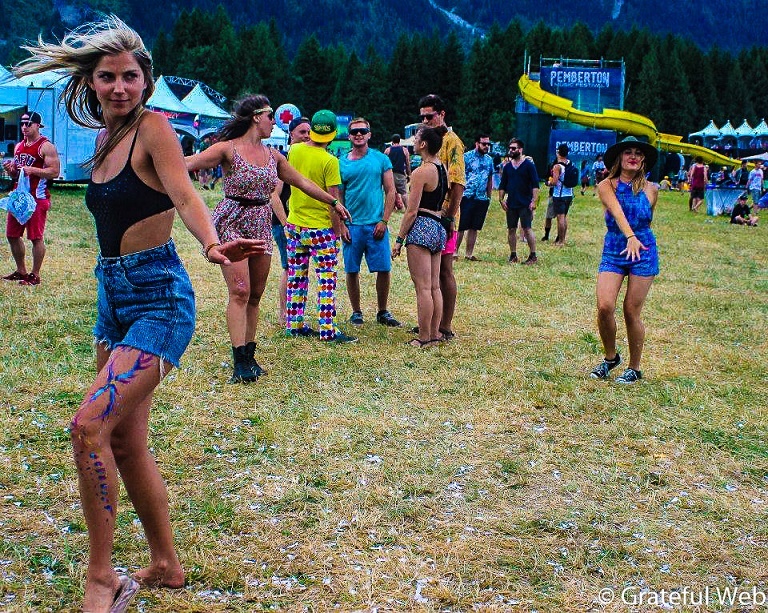 Props to you Pemberton; here’s hoping many music festivals follow in your comedic footsteps. 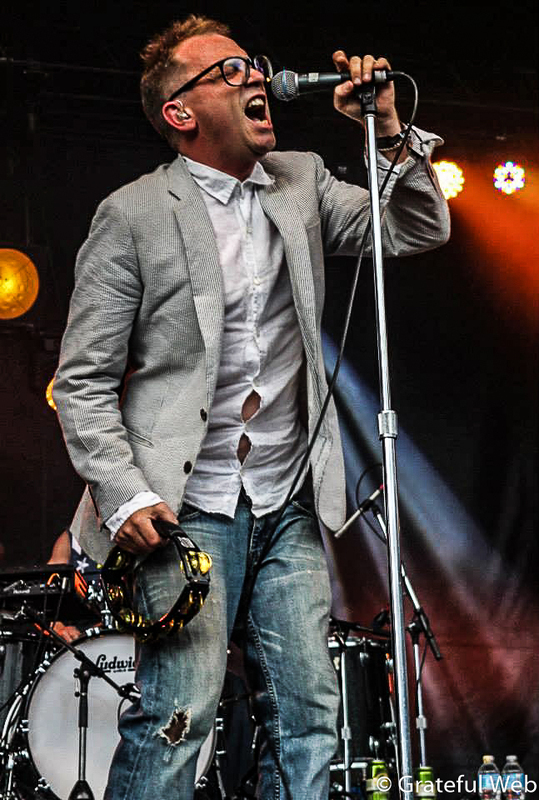 It may have been a slightly rocky restart for Pemberton Music Festival, but overall it was a successful one. The camping situation needs to be amended, but there’s always the close (and adorable) option of Whistler. No matter where you end up staying, once you get inside the festival gates and look out at those majestic mountains, you won’t even remember how you got there. You’ll just be glad you did. 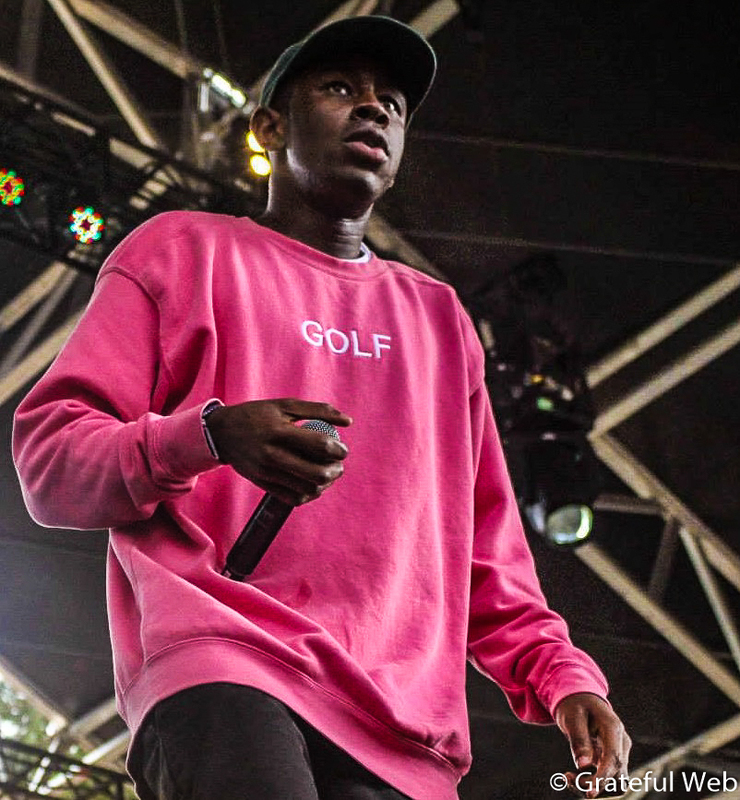 Best Fest Feature: Tyler, the Creator’s pop-up shop: a combined mini skate park and Golf Wang clothing store curated by the rapper himself. The first thing I saw when I walked into the festival was Tyler, the Creator skating maybe 20 feet from my face. (Side note: Pemberton’s zip-line comes in a close second here. Because...zip-line). Best Unexpected Moment: Surprise Brian Posehn. As we passed through the festival one afternoon to take yet another trip to the car, I heard a familiar voice that I soon identified as Brian Posehn. The lineup was so inundated with talent that I had forgotten Posehn would even be there. Well played, Pemberton. Most Badass: St. Vincent. If you know who she is, you expected her to take this title. If you don’t, you should change that. Most Magical Moment: The few minutes it took to travel between Snoop Dogg and the Flaming Lips. 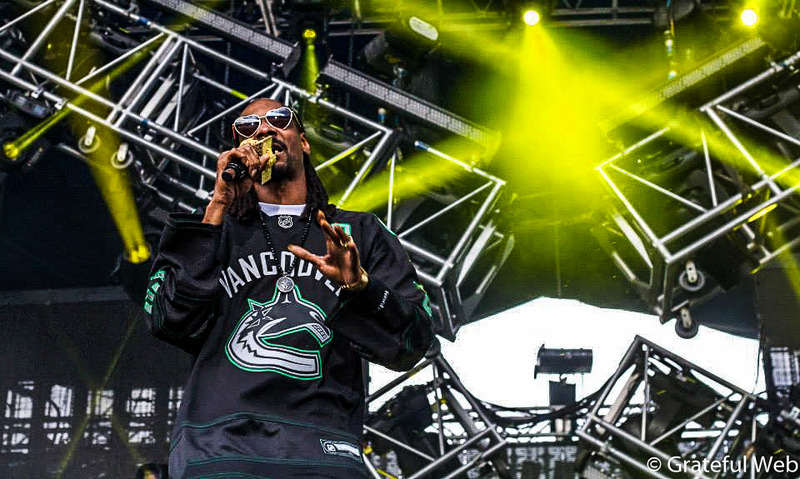 This particular schedule overlap brought great stress into my life, but when I was in between the two sets with the Lips in one ear and Snoop in the other, I was certain I was in a video game (or a coma). How many people are so lucky to have such a bizarre conflict? And with that mountainous backdrop? It felt like a dream. Most Underrated Act: Stars. Pinned against Above & Beyond and Kendrick Lamar (who showed up 50 minutes late), Stars started their set playing to part of a front row but ended on a much bigger note. No matter if you prefer hippy jams or face-blasting bass, the honest, delicate sounds of this Montreal group will have you feeling feelings you didn’t even know you had. Best Comeback: Outkast. 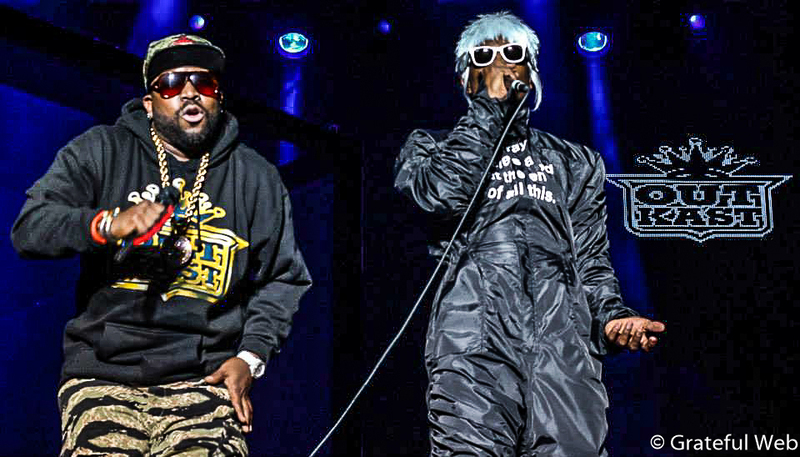 When Outkast took the stage at Pemberton it was like they had never stepped off 20 years ago. Their chemistry was electric. I’m now convinced their Coachella set was all a conspiracy. Best Example of How to Be a Boss: Frank Ocean. Somehow he managed a schedule switch at the last minute, pushing his before-Outkast set to an after-Outkast set, making him the festival closer and effectively becoming boss of the festival (whether intentional or not). Then he walked onto a nearly-bare stage, put a record on, and belted from the depths of his beautiful soul for over an hour. No computers, no instruments, no DJ or “hype” guys; nothing else but his record player and his pure, unadulterated talent. Like a boss. 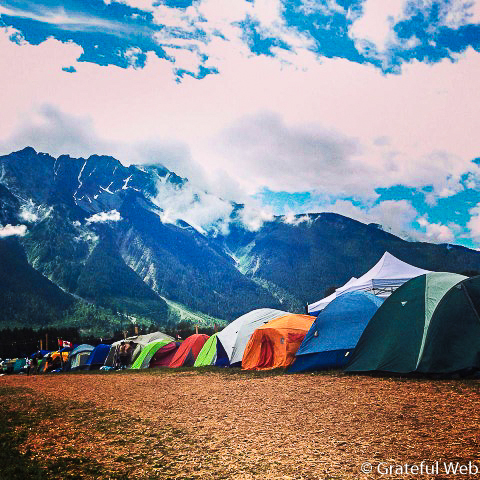 Check out more photos from Pemberton Music Festival 2014.